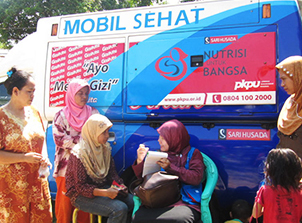 We are committed to being part of the solution to malnutrition and maternal and child health issues in Indonesia. This is realized through our nutrition and health initiatives which we run with trusted partners who are experts in their field. We believe balanced nutrition and health will be more effective with the direct involvement of mothers and children in our sustainable development program. We do all of this out love, and the smiles of Indonesian mothers and children remind us why we do it. Educational campaign "Isi Piringku - A Balanced Nutritious Eating Guide for PAUD / Kindergarten Children aged 4 - 6 years" was born from the Danone Indonesia initiative supported by the Faculty of Human Ecology (FEMA) of IPB. 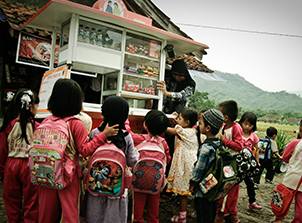 This education is Danone Indonesia's support for the Indonesian Government's "Isi Piringku" campaign that provides recommendations for nutritious food intake according to age, especially when 37% of Indonesian children experience stunting or failure to thrive (Riskesdas 2013). The education program “Isi Piringku” by Danone Indonesia encourages teachers and parents to regulate food intake by paying attention to the amount and type of food in each portion, providing training on nutritional needs through educational teaching aids (guidebooks, story books and finger puppets, and monitoring books) , and encourage PAUD teachers to organize Joint Eating Activities, gardening to get to know food sources, and Parenting classes. 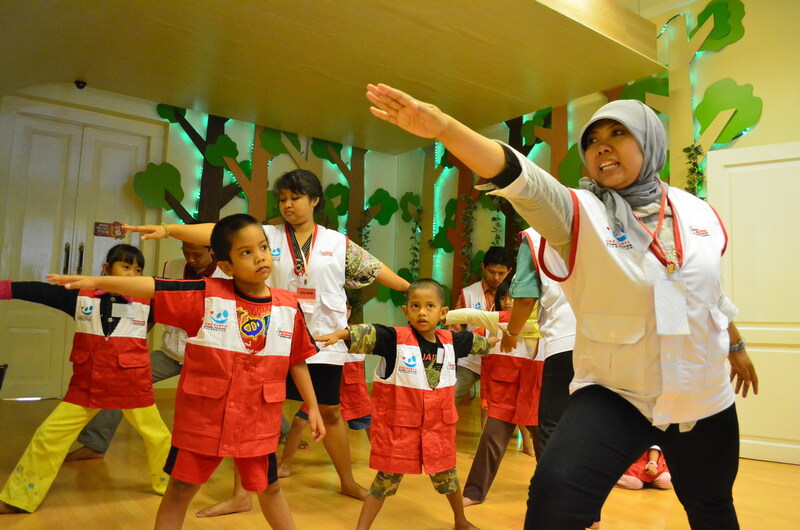 One of our initiatives in supporting early childhood education is to strengthen education in public facilities (Taman Pintar) through the provision of Dancing Water Parks, the construction of PAUD, miniature factories, and mentoring nutrition education curricula in PAUD. With the facilities in Taman Pintar, children have technology-based educational facilities. And the existence of the Smart Park is also beneficial for children in the development of motor and psychomotor aspects.